Take a Class, It'll Change Your Life! 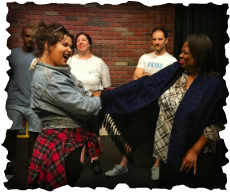 Bill Chott (The Ringer/Disney's Wizards of Waverly Place) has a fool-proof method to transform your life with an improv class that makes improv fun and easy! Start with a Sample Class! Don't miss the next one. Contact us Today!